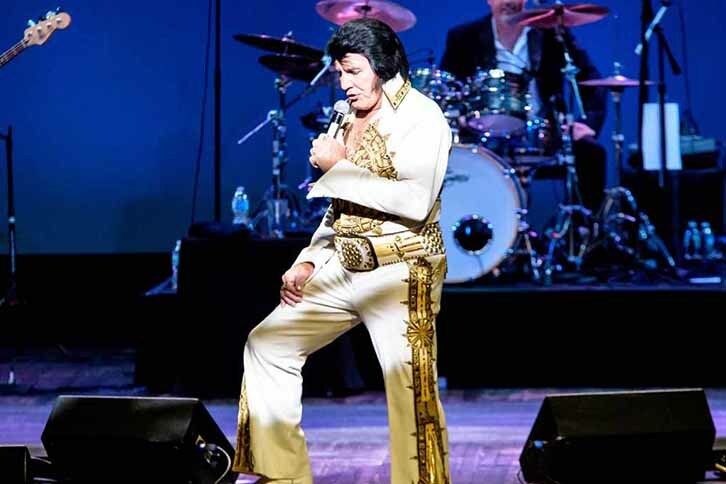 Performed live by Mike Albert, the country’s #1 Elvis tribute artist. Includes Elvis’ top rock and pop hits and — new for 2019 — his gospel hits! If you love Elvis, don’t miss this amazing performer! Held at the Dutch Village Event Center inside the Best Western Plus Dutch Haus Inn & Suites in Columbiana. Performances are April 25 & 26, 12:00pm Matinee Performance; and April 26, 7:00pm Dinner Performance. 12:00pm Matinee Performance includes four-course plated luncheon with beverages and dessert. Cost is $46.50 per person; $41.50 per person group rate, 8 or more. 7:00pm Dinner Performance includes four-course gourmet buffet with beverages and dessert. Cost is $51.50 per person; $46.50 per person group rate, 8 or more. For tickets, call the Best Western Plus Dutch Haus Inn & Suites at 866-482-5050 Ext. 425. Overnight packages are available.